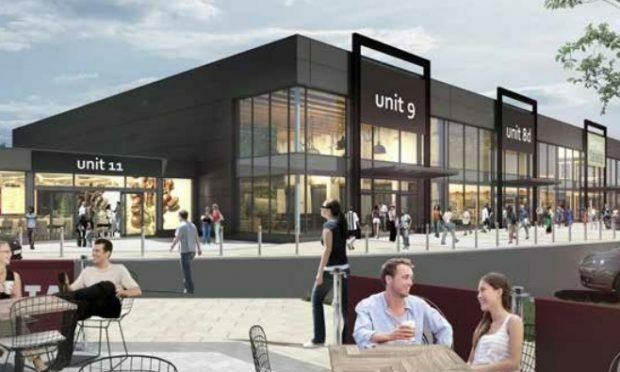 The long-awaited project will see the old B&Q site at St Catherine’s Retail Park bulldozed to make way for five new stores and a restaurant. The move is expected attract more big name brands to the city as well as generate around 100 jobs. It could also provide a wider economic boost by luring shoppers from outside the area. It is seen as the first stage of an overhaul of the sites on the western edge of Perth city centre, with separate £30 million plans pending for a new cinema and shopping complex – known as the Mill Quarter – at Thimblerow. St Catherine’s owner Episo Boxes, which is looking to revive the whole retail park, first announced its plan for the B&Q building nearly a decade ago, but the project stalled and was feared dead in the water amid the global economic crash. Now plans for the boarded-up eyesore have been given the go ahead by planning bosses. Local councillor Pete Barrett welcomed the redevelopment, which he said will provide a major boost to the area. In his report backing the redevelopment, planning officer John Williamson said the whole retail park would be updated as part of a wider regeneration plan. The old DIY store has been vacant for about a decade, but was most recently used as a base for the charity Computers 4 Africa. This year, vandals have broken into the building and set fire to rubbish inside. Owners have been forced to step up security to prevent further attacks. Expresso Property, the group behind the Mill Quarter development, is finalising a planning application for the site. Bosses want to open the complex – which will bring an extra 300,000 people into the city – by 2019.